The Cara collection is a textural collection features the contrasting materials of high quality metal and the glittering surfaces of hanging crystals. The metallic band that surrounds the crystal surface features an organically inspired texture that ties the two materials together perfectly. Make this your centrepiece in the home or office. The cornerstone of the Burton Collection is quality, and this chandelier is no exception. Combining a classic natural iron finish and posh styling, you will find no better way to highlight the charm of your home. With the superb craftsmanship and affordable price this fixture is sure to tastefully indulge your extravagant side. 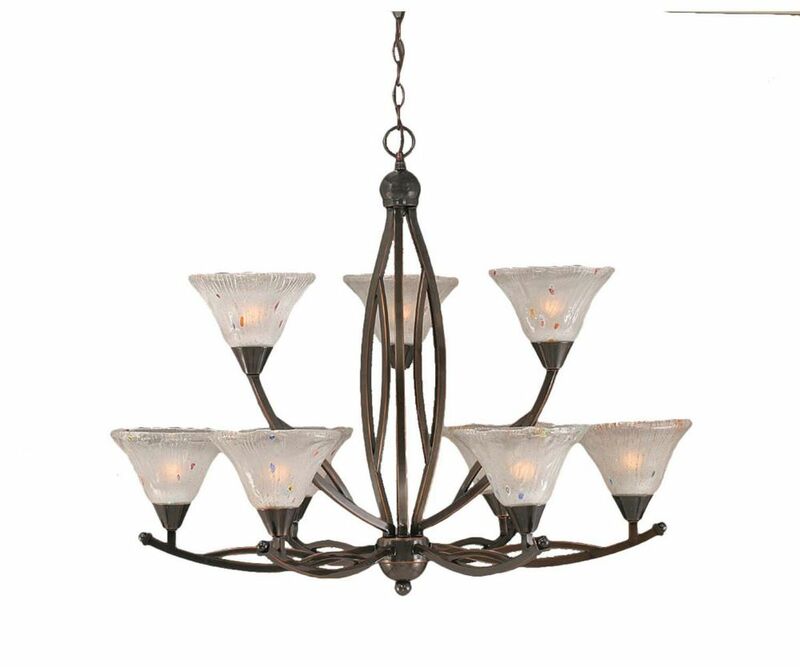 Concord 9-Light Ceiling Black Copper Chandelier with a Frosted Crystal Glass The cornerstone of the concord Collection is quality, and this chandelier is no exception. Combining a classic black copper finish and posh styling, you will find no better way to highlight the charm of your home. With the superb craftsmanship and affordable price this fixture is sure to tastefully indulge your extravagant side.